In their attempt to take over the world, Marvel has been developing new series left and right with varying degrees of quality. From MCU shows like Agents of S.H.I.E.L.D. and the Netflix outings to the unconnected series like Legion, there is plenty to choose from, and audiences are sure to find something they can enjoy. After Legion’s debut last year, it’s become clear that, aside from the MCU Netflix series, Marvel shows are at their best when left unconnected from anything else, and their latest series, Runaways, proves this once again. Runaways is a contemporary tale of six teenagers living in California who were once close friends, but have drifted apart after a tragedy strikes their circle. When they discover a dark secret shared between all of their very wealthy parents, the kids decide to team up, get answers, and find a solution. Throughout the show’s 10-episode first season, we see a growth amongst the teenagers, both individually and as a unit, and by the time we’re in the season’s final moments, the Runaways feel like they have finally become something more. This season truly works as an origin story, and it does so well considering the amount of characters the show puts in the spotlight. Runaways is at its best when highlighting the exceptional characters, especially the team themselves. It’s easy to fall in love with each one individually, and while some take longer to grow attached to, that is simply a testament to the superb writing and character development in the series. Each team member feels like their own person, a real person, with their own personalities, mysteries, emotions, and evolutions over the course of the season. Aside from the Runaways team themselves, the show spends a lot of time with the parents of the teenagers, who call themselves PRIDE. To delve too deeply into this facet of the show would lead to a ton of spoilers being dropped, and this show is one you want to go in blindly with. With that said, it’s great to see a story focus on gray areas; not everything you see in Runaways is black and white. The whole “parents versus their children” dynamic is truly excellent and well worth investing yourself in. The entire cast delivers outstanding performances, especially in the case of the teenagers. Every actor or actress masterfully plays their role, and despite the large size of the cast, each character feels developed and has a substantial amount of time devoted to them and their arc. 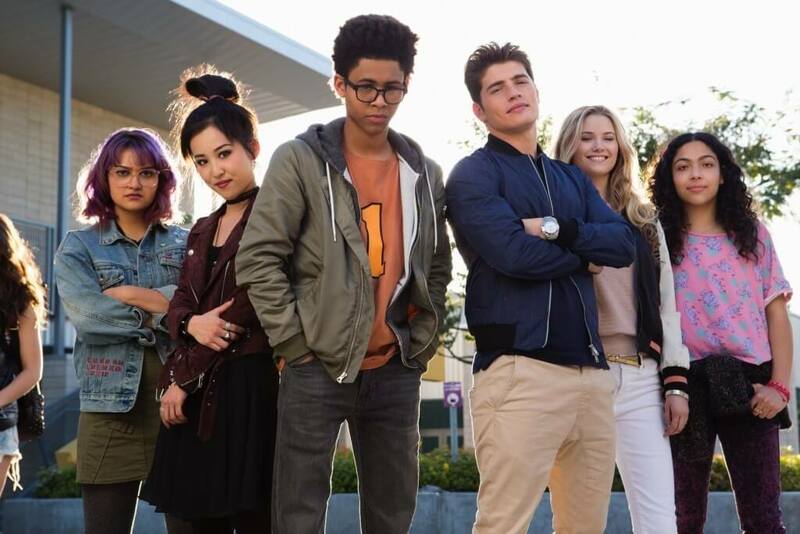 Also worth noting: Runaways does a great job of including a talented cast of various ethnicities, which is a breath of fresh air in the superhero genre these days. While Runaways boasts a stellar cast, an intriguing story, and interesting mysteries, it stumbles at points in its pacing. There’s a point towards the middle of the season where our heroes are spending an ample amount of time – multiple episodes – working on a specific task. When it finally looks like the situation is handled and we’re moving along in the story, something happens to set the characters back. While it’s easy to see the writers wanted to set up more and differing obstacles for the team, it simply became an annoyance and didn’t work well with the show’s pacing, which until this point in the season was pretty much flawless. Fortunately, by the time the season was wrapping up, the pacing issue faded, and Runaways was back on track. Marvel’s Runaways stakes its claim as a new, must-see, Marvel television show with the first season. It is not without issues, but they aren’t enough to detract away from the sheer greatness that oozes out of Runaways’ pores. For as long as Marvel has been trying to get the on-screen debut of the Runaways off of the ground, it speaks volumes that it was finally able to happen – and even more so that it is actually of superb quality. After years of trying to get the Runaways on screen, Marvel knocks it out of the park with this Hulu Original Series. Though the season stumbles a bit in the middle, it's not enough to stop this show from being excellent.